DTG printing, or as it is sometimes known digital T-shirt printing, is a relatively new printing technique that requires more technology than the rest but is able to offer far higher-quality in printing since it prints the design directly into the fabric. This printing technique gives T-shirts a more fashionable look than the other printing techniques. It is is ideal for complex designs, such as photos, that include various different colours. In fact, some designs can only be printed with this technique. However, it is not recommended for bulk T-shirt printing as the complexity of the design required for direct to garment printing makes it expensive. DTG works the same way as your office printer, but with fabric instead of paper with the ink getting injected directly into the material. 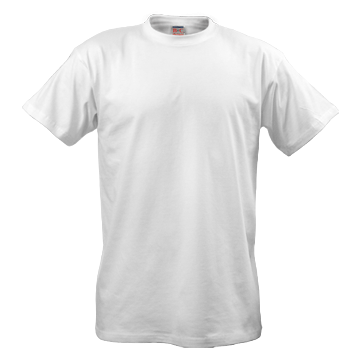 It works great with garments made out of cotton, such as T-shirts. Direct to garment printing can also be used on personalised hoodies to give them a more edgy look or even for printed workwear to make your staff really stand out. And what about other properties of this innovative technique? It’s way easier to set up when compared to the other techniques. It’s great for those looking for only one item to be printed. For bulk T-shirt printing it is not worth it because it takes quite a bit more to print. There are no limits when it comes to colouring. It can make some of the detailed highest quality printing T-shirts. We are here to make the printing process super easy for you. At the moment we receive your quotation, usually within one hour we’ll contact you by phone or by email to answer your questions and start helping you.